The big 6 x56- ring premium handmade 1502 Black Gold Conquistador cigar features a dark brown San Andrés Mexican wrapper covering a blend of perfectly aged Nicaraguan binder and long filler tobaccos. Rolled by master blender Enrique Sánchez at his factory in Nicaragua, this rich full-bodied smoke is brimming with lush notes of chocolate, earth, and a peppery finish. 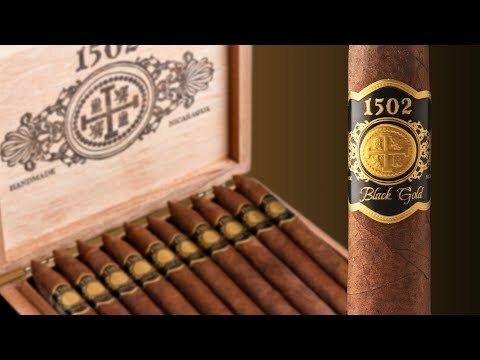 Although not a cigar that I would recommend to a newbie, the luxury 1502 Black Gold Conquistador will be a very special treat for the seasoned Maduro smoker. What do you think of 1502 Black Gold Conquistador?